Soulful Communions | Movies | Style Weekly - Richmond, VA local news, arts, and events. A kernel of an idea at the center of director Garth Davis's "Mary Magdalene" could've potentially distinguished it from other Christ films. 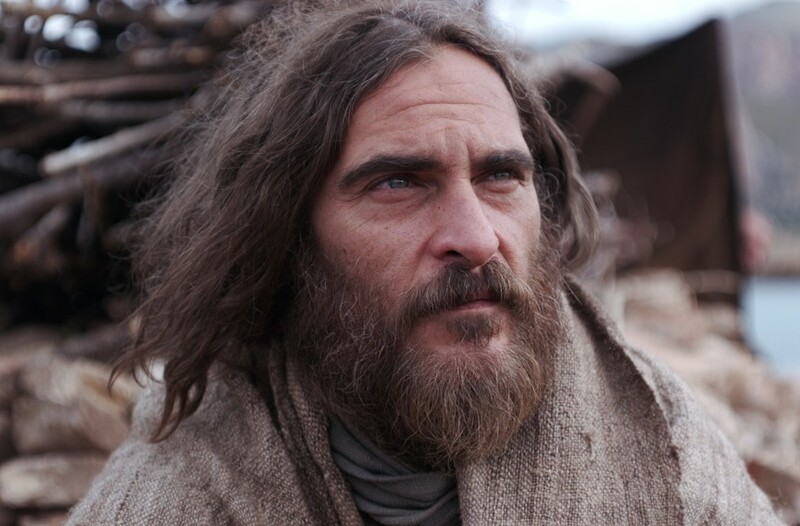 Davis initially portrays Jesus (Joaquin Phoenix) as preaching of the restorative powers of a democracy, with his kingdom of God intended as a metaphor for kindness and distribution of resources. In a sermon that will ring political bells for contemporary audiences, Jesus tells the people of the seaside village Magdala that they are asleep, using their prayers to assuage their guilt while they ignore the suffering of starving people. In "Mary Magdalene," Jesus is less a prophet than a radical who's assassinated for threatening the capitalist status quo, like many other progressive figures throughout history. Jesus' teachings are a tough sell even for his disciples, particularly Judas (Tahar Rahim), who expect a literal kingdom of God to arise via a violent revolution. Like many politicians today, Jesus is destroyed for failing the purity tests of the establishment and the would-be reformers. But Davis never commits to this idea, as this Jesus still performs magic, which complicates the notion of his transcendent kingdom as a figure of speech. Watching "Mary Magdalene," one comes to viscerally understand the disciples' confusion and boredom, as Davis elides and shortchanges many dramatic events, spending much of the film's running time on a bland and seemingly endless mountainside march towards Jerusalem. Though the scenery is spectacular, Davis fails to imbue his landscapes with a sense of psychological fervor. However, Phoenix does bring "Mary Magdalene" to sporadic life with an unconventionally tormented performance that likens Jesus to a visionary cult leader -- an association intensified by the actor's resemblance to Charles Manson. Meanwhile, Mary (Rooney Mara) is rendered beside-the-point in her own film, stranded at the center of another unrealized conceit. This Mary is not a prostitute, as the film's epilogue reminds us that the Vatican recently redefined her as an "apostle of apostles." Which is to say that "Mary Magdalene" is a Me Too Bible film that offers a corrective to a sexist reduction of a historical figure, though it has a limitation that's common of modern American cinema: It's so concerned with making a female character acceptably steadfast for audiences that it drains her of all personality. This Mary is ultimately still a witness to Jesus' narrative, a believer who believes because there's no better option in her rigid society, and Mara [Phoenix's real-life girlfriend] plays this yearning with a passive opacity that's photogenic yet interminably static. Regardless of fact or political correctness, Mary was more interesting when she was a sinner. Horse-and-misfit-trainer movies are a genre onto themselves. Last year alone, there was "The Rider" and the graceful and heartbreaking "Lean on Pete." This narrative thrives on a rhyming of animal with human, a tricky and sentimental conceit that can quickly turn maudlin. Laure de Clermont-Tonnerre's "The Mustang" lacks the elegant simplicity of "Lean on Pete," but it's still a beautiful and moving film, and its rough-and-tumble edges offer their own rewards. The trainer in this case is Roman (Matthias Schoenaerts), a prisoner in a correctional facility somewhere out in the barely tamed western landscapes of Nevada. Text at the opening of the film tells us that mustangs still roam this part of the country, though they're captured or euthanized as land is privatized. Prisoners are recruited to train a few of the mustangs so that they may be sold into law enforcement, and Roman winds up in such a program more or less out of luck. We first hear Roman as a therapist attempts to coax the prisoner out of his shell. And his breathing has the heavy primordial rasp of, yes, a wild horse as it's talked down by a human. 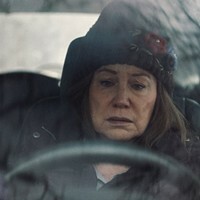 De Clermont-Tonnerre routinely gets away with these sorts of potentially affected associations throughout "The Mustang" by making two seemingly contradictory gestures at once: doubling down on her cliches and underplaying them so fluidly that they're enriched with poetic docu-dramatic textures. Roman is a man who has been in solitary confinement for so long — for a crime that isn't revealed until late in the film — that he's given up hope for even rudimentary communication with his own or any other species. In a remarkable performance, Schoenaerts shows us the emotions that are roiling underneath Roman's stony visage. De Clermont-Tonnerre and Schoenaerts allow Roman's bonding with a wild mustang to feel inevitable, as the two creatures are understood by the filmmaker and actor to have similar biorhythms. De Clermont-Tonnerre alternates episodes of cramped prison life with the comparatively open air of the horse pens, understanding that this contrast speaks for itself and omitting the exposition that mars many contemporary mainstream films. Each scene has a jagged, unfinished quality that cumulatively works for "The Mustang," leading to a remarkable image. After Roman blows his top, his solitary face is accompanied in the frame by the mustang, which leans into him with affection. The horse's measured breathing as he leans into Roman feels like nothing less than a miracle, a communion between lost souls.